If you have a tooth that requires a filling, our Wyoming tooth filling dentist will first remove the decayed tooth material, clean the affected area, and then fill the cleaned out cavity with a special filling material. A tooth filling helps prevent further decay by closing off any cracks or spaces where bacteria can enter. While silver fillings are commonly used, we also offer composite fillings for patients concerned about the appearance of their smile. These tooth-colored fillings match the color of your natural tooth enamel, which makes them ideal for front teeth that are noticeable when you smile or talk. Many of our adult patients also appreciate white fillings for the other permanent teeth in their smile. The composite filling procedure is simple for our Wyoming family dentist and can be done in one appointment. 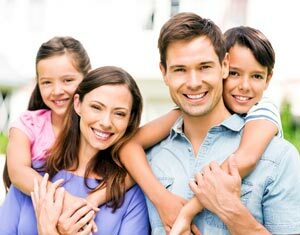 Dr. Helmus DDS at River Ridge Family & Cosmetic Dentistry is dedicated to helping patients achieve their best smiles. If you have a toothache and suspect you need a filling, we recommend calling our Wyoming family dentistry to schedule an appointment at (616) 538-7320.